Using flash in real estate photography requires some basic knowledge. Recently Strobist David Hobby has published a new version of his standard work „Lighting 101“. 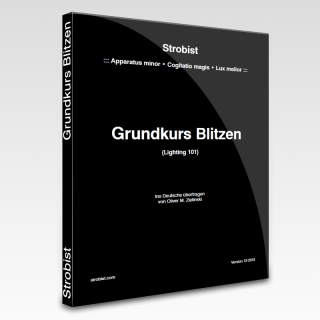 The translation service GermanoMedia of our agency has transferred this e-book into German. Although David’s manual mainly concentrates on the usage of flashes for headshots, it contains useful basic information even for beginners in real estate photography. reading, recognizing and reconstructing light situations. The first version has been published in 2006. Since then more than 4 Million readers have used this class to create images with depth and threedimensionality instead of conventional flash photos. David Hobby is a U.S. press photographer and photo instructor and operates a very successful photo blog on Strobist.com. Our German version of the e-book can be downloaded here. I am a photographer from Berlin, Germany, from where I run the public relations agency Z MEDIA. This business has its own photo studio called PrimePhoto. It is specialized in architecture and real estate photography. In addition to this PrimePhoto holds photography workshops for real estate professionals. All texts, photos and graphics on this website are copyrighted. Third party usage requires specifically a written permission by the author. Some pages in this website show Amazon partner links. Amazon and the Amazon logo are trademarks of Amazon.com, Inc. or of one of its affiliates.